Today, we will discuss thumbnailing of video content. We need to differenciate two key aspects: saving still images of a currently playing video (snapshot) and previewing media stored somewhere without being played (thumbnail). While either way, VLCKit will open the resource, decode the bitstream and provide you with a image, performance and usability will differ. Let’s start with thumbnailing a non playing media source, which can be stored locally or remotely. // TODO: do something with the thumbnail! We need to create a NSURL instance along with its VLCMedia representation. Note that the URL may point to both a local or a remote resource. We create the thumbnailer instance for our media and point to ourselves as a delegate to receive the thumbnail. We define the size of the resulting thumbnail. If width and height are set to zero, the video’s original size will be used. If you set either width or height to zero, the aspect-ratio is preserved. Finally, we call the thumbnailer’s worker function. Asynchronously, after about two to twenty seconds, we will receive a response from the thumbnailer to the delegate. It is important to check the thumbnail for NULL before trying to bridge it to a UIImage or NSImage as well as afterwards as the translation can fail. That’s all. You might be wondering how the thumbnailer decides which frame to return. This is based on a more complex algorithm currently depending on the media’s duration and availability of key frames. Future versions may also analyze the image content. You can overwrite this algorithm with the thumbnailer’s snapshotPosition property (with a 0.0 to 1.0 range). 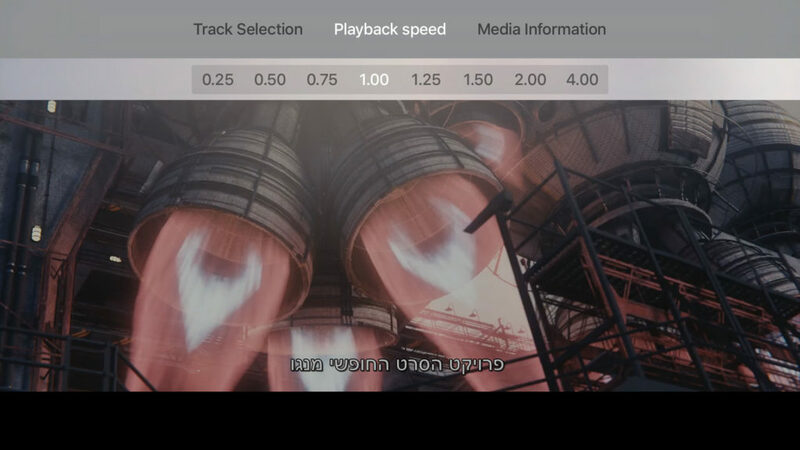 The VLCMediaPlayer class includes a very basic API, which allows the creation of an infinite number of snapshots during playback, which will be asynchronously stored as local files. The size parameters follow the same pattern as for the thumbnailer. As soon as the snapshot was stored, a VLCMediaPlayerSnapshotTaken notification is emitted and mediaPlayerSnapshot: is called on the media player’s delegate. Note that the delegate call is available on iOS and tvOS only. 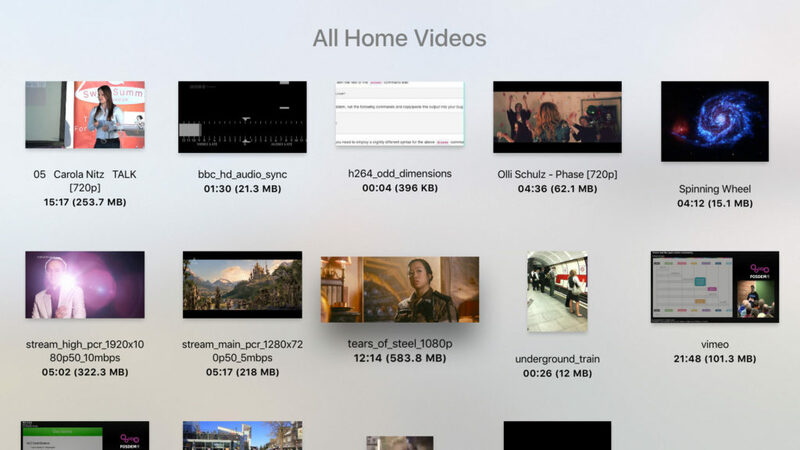 As a convenience starting in VLCKit 3.0 on iOS and tvOS, the media player class exposes the lastSnapshot and snapshots properties, which provide a UIImage instance of the last shot as well as a list of files of the taken shots. That’s all for today. Enjoy using VLCKit! 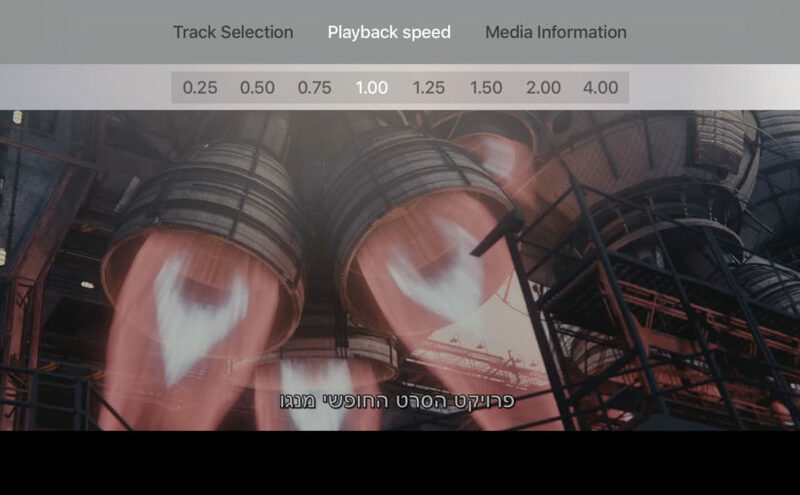 10 days ago, we published VLC media player 3.0 for all platforms. It’s the first major release in three years and brings a huge number of features, improvements and fixes. Get an overview here and the full changelog there. For VLCKit, we improved performance and memory management, added new APIs and you get all improvements from the underlying libvlc including full support for decoding H264 and H265 using VideoToolbox in hardware. 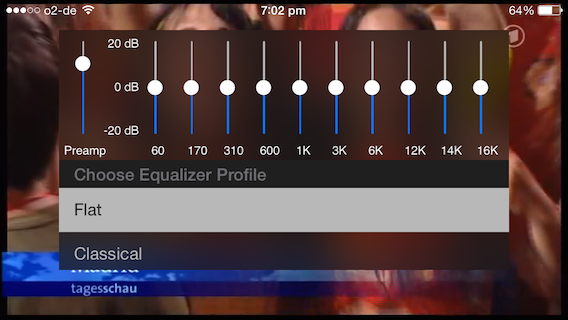 Instead of using all cores of your iPhones CPU at 100%, decoding a 4K video uses less than 20%. Further you can look at all aspects of a 360° video with touch gesture based controls, discover and browse shares on your network with UPnP, NFS, FTP, SFTP and SMB and more. 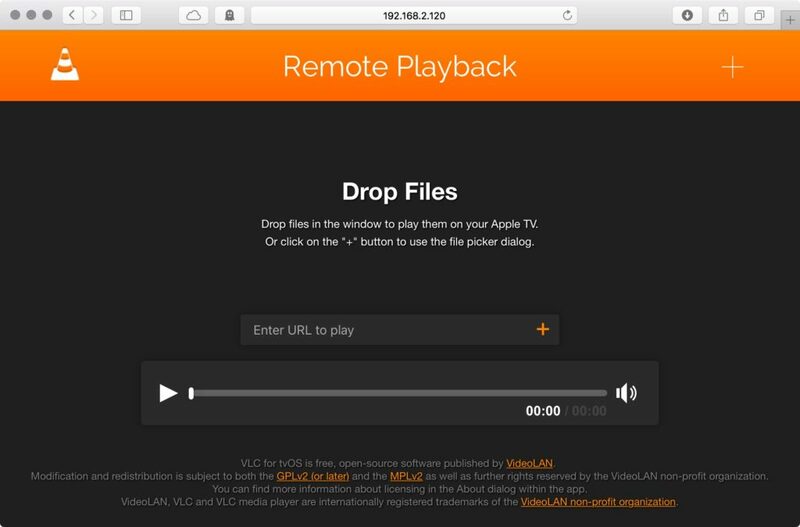 As you remember, we published VLC for Apple TV in January 2016, but so far, we never made VLCKit available on tvOS. In addition to MobileVLCKit for iOS, we now introduce TVVLCKit for tvOS! 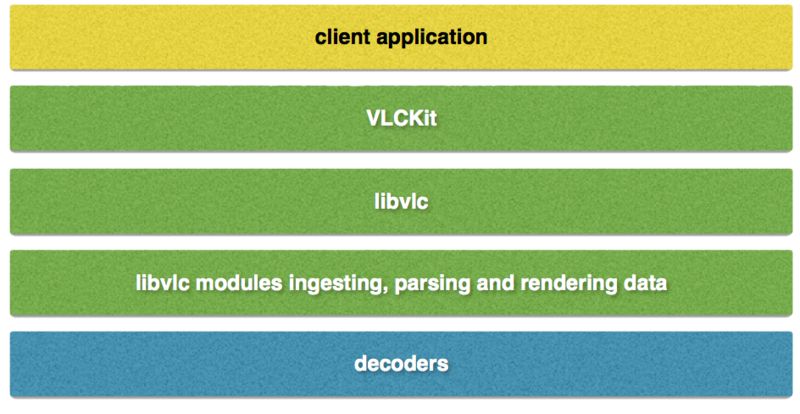 For macOS, iOS and tvOS, VLCKit 3.0 is available through Cocoapods as a precompiled binary under the LGPLv2.1 license. You can find the source code on our website – contributions welcome! 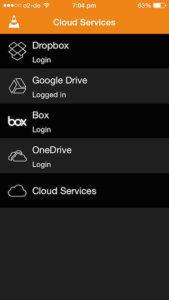 We are looking forward to all your feedback and the apps deploying VLCKit to deliver multimedia to their users. Do you want to learn more about integrating VLCKit? Have a look at the tutorials I wrote not too long ago (Part 1, Part 2). Today, we will release a new major version of VLC for iOS. Note that due to adapted review guidelines, it is branded “VLC for Mobile” on the iOS App Store now. This release includes a lot of UI improvements, bug fixes and last but not least a newly designed sidebar menu! Finally, this release drops support for iOS 6.1. VLC now requires iOS 7.0 or later. This major update is the result of 4 months of work and I would like to thank Tobias, Carola and Pierre for their dedication to make this possible. Stay tuned, we have more exciting things in the pipeline, which we will happily present very soon. 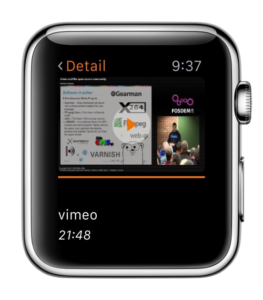 Today, we will release version 2.6.0 of VLC for iOS adding support for Apple Watch. 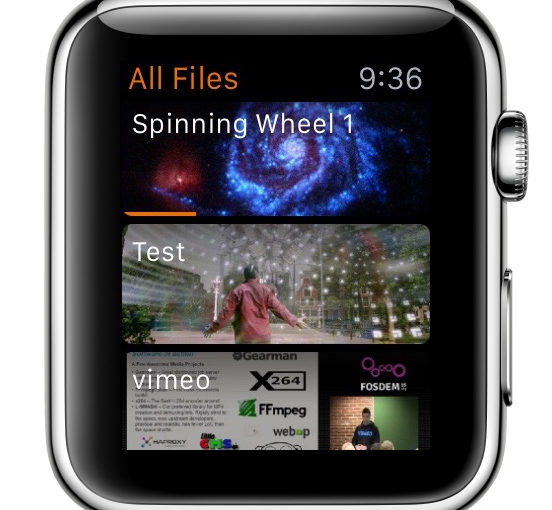 With Apple Watch, you can fully control VLC on iPhone, browse the library and retrieve info about stored or playing media items. Since playback control using Apple Watch allows you to start playback while the app is in background, we took the occasion to completely rework the playback process which culminated in the introduction of a mini player. This way, you can finally browse the media library or network services without interrupting playback. 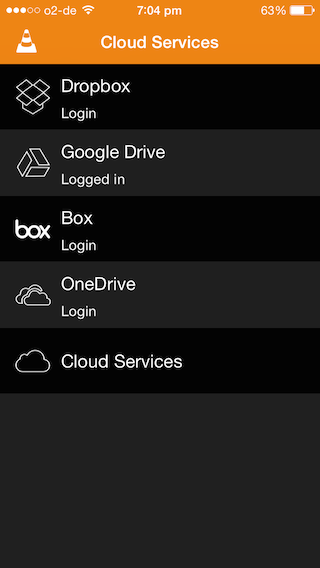 Further, we added the ability to loop playlists and access to PLEX shares requiring authentication. Finally, thumbnails displayed in the local media library now reflect playback progress and will show the last played frame. Version 2.6.0 of VLC for iOS includes the largest number of bug fixes and improvements we ever shipped in a single update for this platform. They are affecting virtually all parts of the app and will lead to a greatly improved user experience. Please scroll down if you are curious about the details. One last thing: since VLC for iOS includes a large amount of white artwork which is virtually invisible in Xcode, Tobias developed a fix for that. This major update is the result of 3 months of work and I would like to thank Tobias, Carola and Pierre for their dedication to make this possible. 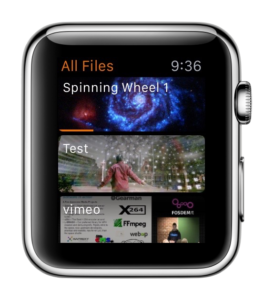 Added support for Apple Watch – control VLC from your watch! After a 5 month hiatus and a couple of delays in between, we are very happy to release version 2.4.1 of VLC for iOS to the general public today. Please see our press release for cross-platform information. 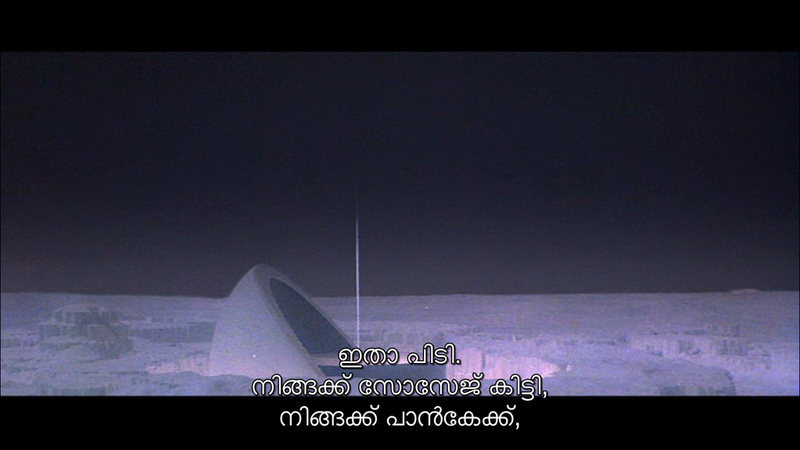 As an introductory remark, make sure to get the legitimate version of VLC. There are a number of clones on the iOS App Store right now, which violate both our copyright and our trademarks, include advertisement and usually charge $1 to $5 per download. We sent 39 DMCA take down notices against 48 apps over the cause of the last 12 months and in the end, we always succeeded. However, this can take up to 3 months, even for seemingly obvious violations. As a consequence to those continued violations, VLC for iOS’s source code repository will no longer be publicly accessible, but archives of the stable releases only. So, what’s new in VLC for iOS? And a large number of small features, improvements and bug fixes as well as a new translation to Traditional Chinese. This release removes support for Dolby Digital (AC-3), Dolby Digital Plus (E-AC-3) and Dolby TrueHD (MLP) for the foreseeable future due to a content dispute with Dolby Laboratories, which could not be resolved in a different way. We are very happy with this major version of VLC for iOS and hope that you’ll like it as much as we do. Further, we are excited about the things we have in our pipeline for the forthcoming releases. A first beta of version 2.5 will be released to our testers today. Today, we will also a major new version of VLC for Mac OS X. For cross-platform changes, please have a look at the release notes and our press release. 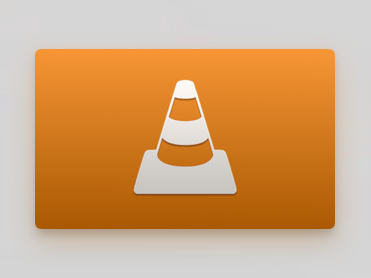 What’s new in VLC for Mac? Completely re-written web plugin for Chrome, Safari and Firefox is back! New encryption and decryption modules for SSL based on OS X’s SecureTransport library for FTP and HTTP connections. This greatly improves speed and security. We are excited about this major update of VLC for Mac and hope that you’ll like it as much as we do.